If you have any plans to travel to the Middle East, or have friends and family in those regions, then you may have been wondering what the MERS virus is all about. MERS is the latest virus to have caused a health scare in the world. It started in Saudi Arabia, there has been an outbreak in South Korea, and now the first case of MERS in Thailand has been confirmed. Should you be worried about MERS? Will MERS spread? 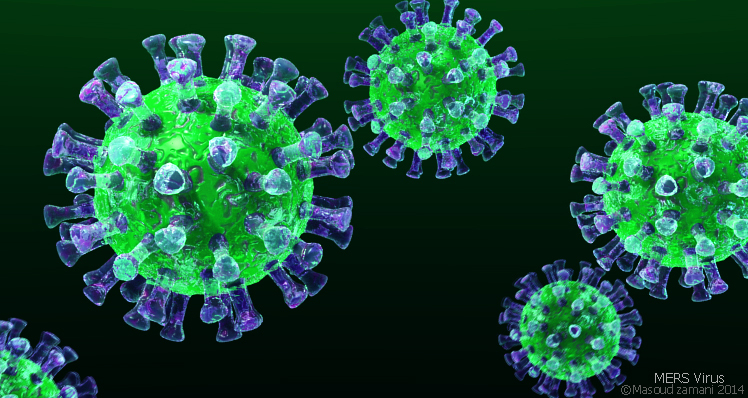 Here are ten essential facts about Middle Eastern Respiratory Syndrome, or MERS. Despite all the headlines that it is making, MERS is actually quite rare. As of early June, just over a thousand confirmed cases had been reported to the World Health Organisation (WHO), by 25 different countries. Deaths have been reported at approximately four hundred and fifty, or 37% of patients confirmed to have contracted Middle Eastern Respiratory Syndrome. 2. Where have outbreaks of MERS occurred? The first case of MERS was reported in Saudi Arabia in 2012 and, to date, that is where most cases have been confirmed. The most recent outbreak has been in South Korea and cases have been also been reported in the Philippines, China and now in Thailand. The only cases to have been reported outside of the Middle East or Asia have been health workers returning from those areas. MERS is a coronavirus, which is a group of viruses that include the common cold and severe acute respiratory syndrome (SARS). The early symptoms of MERS include; shortness of breath, coughing, nausea, diarrhoea, fever and vomiting. 4. Where did MERS come from? Scientists are unsure exactly where MERS came from, but most likely, it came from an animal. In Saudi Arabia, the disease has been linked to camels that have been found to be carrying the virus and the WHO have warned that the infection can be passed from camels to humans. 5. How is MERS passed from human to human? It is not known for certain how the MERS virus is spread, but it does appear that it is not very easy to contract Middle Eastern Respiratory Syndrome. The virus could be passed on via coughs and sneezes, but it does appear that you have to be in close contact with an infected person to contract MERS. Although the disease is not thought to be highly infectious, the precise means of it spreading between people is still unclear. 6. Is there a vaccine for MERS? Currently, there is no treatment or vaccine available to protect people against MERS and no antiviral drugs have yet been found to be effective. Treatment has been focussed on providing the necessary medical support to avoid the patient suffering organ failure. Most of the people, who have contracted MERS and died, had other chronic diseases before they contracted the virus or were elderly. 7. Is it safe to travel to the affected regions? Thera are currently no travel warnings in place with regards to MERS, but the situation is under constant review by the World Health Organisation, who is monitoring the patterns of transmission patterns of the disease. 8. How do you protect yourself against MERS? You can help to protect yourself from MERS by just taking the usual, common sense precautions. Wash your hands regularly, or use a hand sanitizer product, avoid close contact with people who appear to be ill, and, if you are travelling to the Middle East on holiday this year, it would probably be advisable to give the camel rides a miss. 9. Who is most susceptible to MERS? Anyone, of any age can contract MERS and there have been cases where the symptoms of MERS have been very mild and have appeared to be little more than you would have with a bad cold. Severe forms of the illness are more likely in the elderly and people who are already suffering with a chronic disease. 10. Will MERS become a pandemic? At the present time, experts do not believe that the MERS outbreak will become a pandemic and the chances of contracting the virus outside of the small areas of the current outbreak appear to be very unlikely. The virus is not very contagious, it cannot survive for more than a day outside of a body, and it is easily killed with detergents and disinfectants.